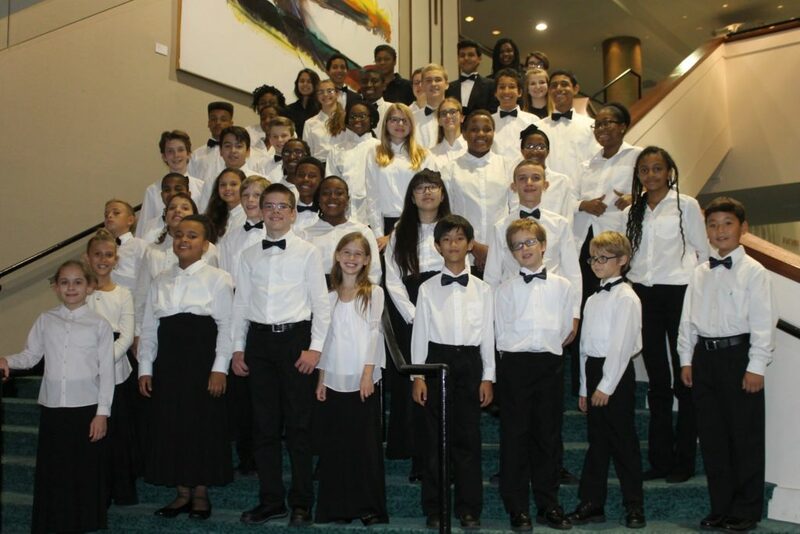 Founded in 1993, the Jacksonville Symphony Youth Orchestras (JSYO) are Northeast Florida’s premier developmental orchestral ensembles serving more than 350 young musicians, ages 7-21, who are admitted through introductory interviews or competitive auditions. The main site at Florida State College at Jacksonville (South Campus) offers all six levels of ensembles which rehearse and perform under an esteemed team of music educators as well as Jacksonville Symphony musicians. The six levels of ensembles enable the JSYO to serve the needs of all musicians with individualized, ability-specific instruction. JSYO enriches orchestral instruction by guiding young musicians with quality musical instruction, improving skills and maintaining the highest standards. The JSYO performs several major concert during the September to May season at the prestigious Jacoby Symphony Hall in the Times-Union Center for the Performing Arts or in regional venues. The annual Major Minor Concert includes a joint side-by-side performance with JSYO ensembles and the Jacksonville Symphony. Winners of the JSYO Young Artists Competition have the privilege of soloing at Major Minor in addition to receiving scholarships. JSYO also offers an extensive chamber music program. Participants perform concerts across the region throughout the season. Participating in the JSYO teaches discipline and teamwork. Young musicians also learn the value of hard work and gain self-confidence through the polished performances they give. The JSYO not only enriches the lives of their musicians, but also enriches the cultural life of the First Coast community through their many performances and outreach to children’s hospitals, schools, museums and other community organizations and events. Limited financial aid is available to help defray the cost of JSYO tuition courtesy of the Jacksonville Symphony Guild, the Jacksonville Symphony Association and various other benefactors. Admission to JSYO is always based upon merit and never on a student’s ability to pay tuition. Financial assistance and payment plans are available, although tuition deposits are required. Tuition discounts are available for multiple sibling participants and Jacksonville Symphony musician families. Contact Brian Ganan, Education & Community Engagement Manager for more information.